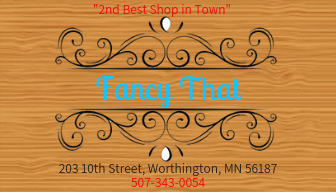 Fancy That has a quality selection of furniture, glassware, dishware, linens, and home decor. Our stock is constantly changing with new additions regularly! We also carry a wide variety of antiques including collectibles, model trains, and music. 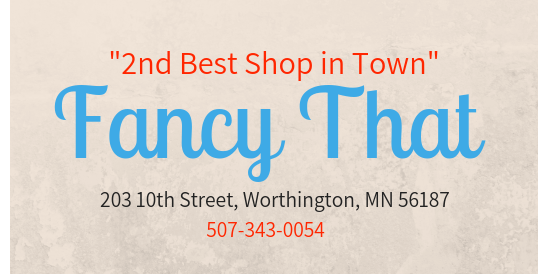 Because of our huge selection and quality items, we were voted Worthington's Best Antique Shop for 2018!